Our three town houses at Millbank are identical in layout and have a stunning riverside situation close to the centre of the thriving Welsh border town of Hay-on-Wye. The town houses are designed to allow you to gain the maximum enjoyment from the landscape from the comfort of your holiday home. Our houses are all run with sustainable tourism at the forefront of our mind. They are highly insulated and have energy efficient gas central heating, low energy lighting and where possible we have furnished the properties from local sustainable suppliers. 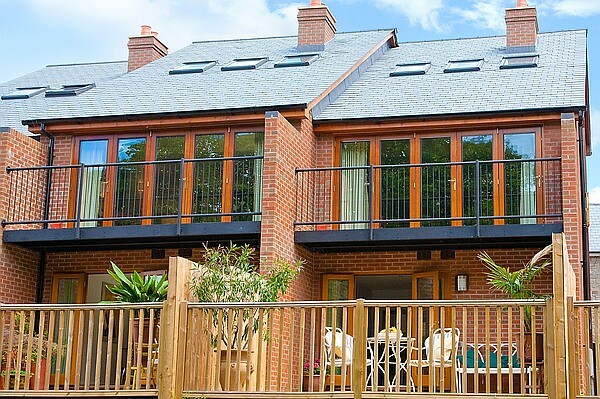 The three storey town houses offer luxury contemporary holiday accommodation within walking distance of the centre of the town. Here you can find excellent cafes and restaurants, independent shops, galleries and many bookshops for which the town is renowned. The stunning surrounding countryside is a haven for walkers and is easily accessible from the houses. There is even a riverside and woodland walk which runs right past the front door. 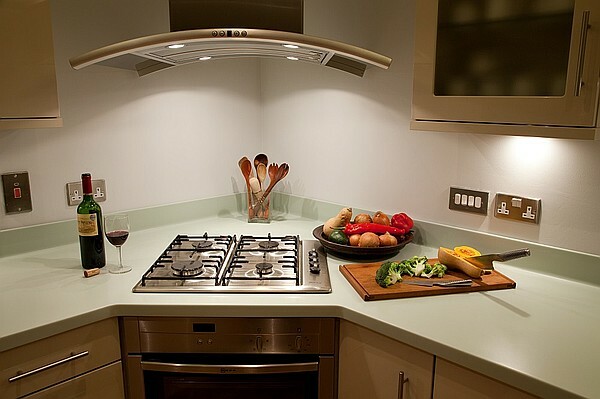 Kitchen – which is a spacious well equipped room with a large cooking and dining area (for up to 5 people). There are French doors leading to the terrace from where you can enjoy the wonderful views. 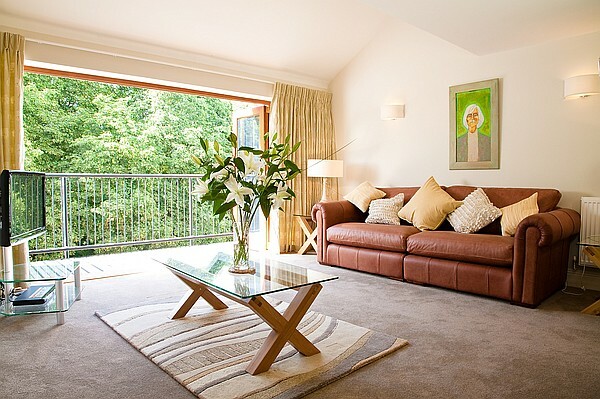 Living Room – is a spacious room with folding glass doors to the large balcony where you can enjoy the stunning views of the river and sunsets. There is a sofa, chairs, iPod docking system, modern fire, TV and DVD player. Master bedroom - with a king-size bed. There is also a small security safe in the wardrobe for peace of mind. 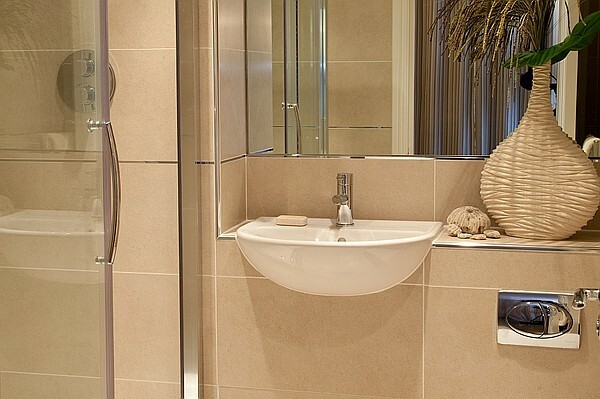 En-Suite Shower Room – with a luxury shower. Bedroom – which can be either a double room with a super king-sized bed or a twin bedroom. Bathroom – with bath and shower unit. Throughout the property we have numerous lamps and wall lights with dimmers allowing you to tailor the lighting to the time of day and your mood. In a number of the rooms you will see art from two local artists displayed, many of these are for sale. There is a paved terrace which leads off the kitchen with furniture to provide the opportunity to comfortably soak in the views and for outdoor dining. There is also a car port suitable for two medium to small vehicles. There is also parking spaces opposite for guests or additional cars. Immediately outside the properties is a river and woodland walk enabling you to easily exercise your dog. Hay-on-Wye – Has many attractions one of which is The Globe where there are lots of arts and music events. In the summer months you can visit the Hay Fayre which is a monthly festival of music, talks and food and drink stalls. There is also the historic Booth’s Bookshop with its three floors of new and second hand books, cafe and boutique cinema. Brecon – This attractive market town is around half an hour’s drive away and acts as a base for many walkers. Here there are a number of shops and restaurants as well as the weekly livestock market and a monthly arts and crafts market. The Monmouth and Brecon canal terminates at Brecon providing the opportunity for a leisurely stroll along the canal and canal cruises. 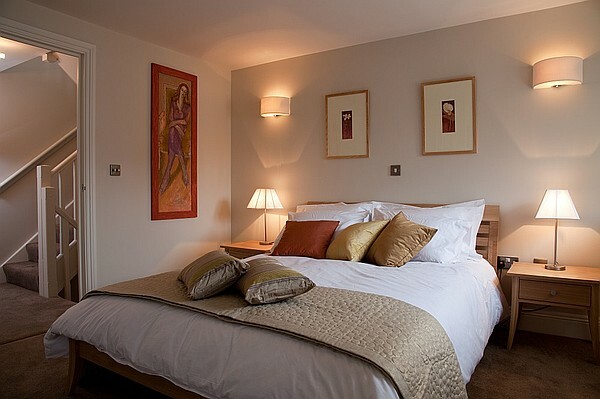 Hereford – Is also a half hour drive away with its Cathedral and award winning exhibitions. The Old House in the centre of Hereford is a 17th Century timber framed traditional black and white house which is now a free museum giving an insight into Jacobean life. Leominster – Is an attractive rural market town with many traditional timber buildings. Just outside the town is Berrington Hall a National Trust property where you can enjoy Capability Brown’s grounds and the homely interior. Brecon Beacons – Hay-on-Wye is on the northern tip of the Brecon Beacons. The Brecon Beacons are very popular with walkers with one of the most popular walking spots being the Pen Y Fan which has the highest summit in the National Park. Black Mountains – The Black Mountains are to the east of the Brecon Beacons and act as the divide between England and Wales. The Mountains are four mountains connected by long ridges providing some less strenuous walks than some of the others within the National Park without compromising on the view. Offa’s Dyke – This 177 mile long walk runs along earthworks built in 796AD and created the boundary between England and Wales. It passes through Hay-on-Wye and along the ridge of the Black Mountains. Festivals – Hay-on-Wye has become famous for its annual Festival of Literature and Arts which is held in May each year. It has expanded year on year and now includes musical events, a children’s festival and film previews. The Abergavenny Food Festival in September and the Brecon Jazz Festival in August are also easy visited from the house. Walking – The Brecon Beacons are renowned for their walking opportunities. Some of the most popular walking areas include Offa’s Dyke, the Black Mountains, Pen Y Fan, the Sgwd yr Eira and the Wye Valley walk. Cycling – Bikes can be hired in Hay-on-Wye at Drover Holiday Bike Hire where they can also help you to plan your route. Gliding – There is a Gliding Club based at Talgarth airfield which boasts some of the longest flight times in the UK. Canoeing – The Wye Valley Canoe Centre is just down the road at Glasbury-on-Wye where you can hire kayaks and canoes to explore the river. From Glasbury-on-Wye you can paddle downstream to Hay-on-Wye or carry on further to Whitney. 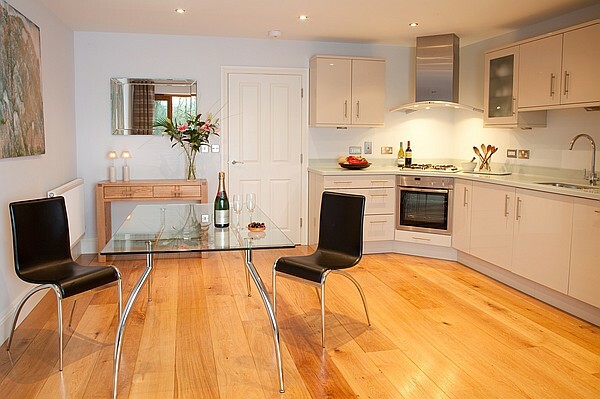 The house is fully equipped with a washer-drier and dishwasher, as well as all the linen you require. The linen is all crisp white cotton with a choice of either feather or hollow fill pillows. 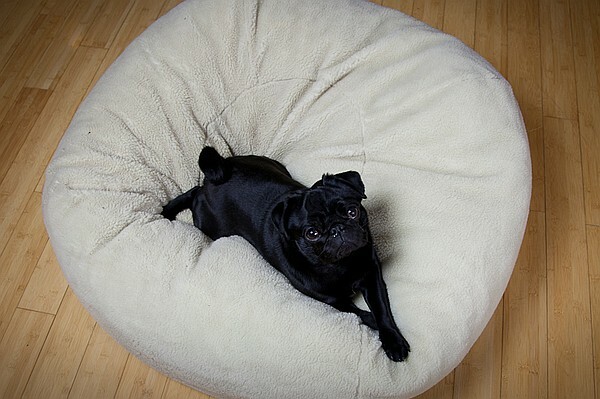 Due to the luxurious furniture and soft furnishings on the upper two floors we would be grateful if you could keep your pets on the ground floor. Our properties have been furnished with sustainable tourism in mind and therefore we have provided storage bins for the recycling of waste. Hay Retreats supports the Jump4Timbuktu charitable trade initiative. The initiative aims to help the Tuareg artisans to be able to trade their way out of poverty. You can support the initiative during your stay by visiting the Brooke Street Pottery in the centre of Hay. To confirm your booking we request payment of one third of the holiday cost, the balance is then due 8 weeks before the start of your stay. Week stays can commence on a Friday or Monday, weekend breaks (3 nights) start on a Friday, midweek (3 nights) start on a Monday. If after confirming your reservation cancellation is made within 8 weeks of your arrival date your deposit will not be refunded unless the accommodation is re-let in which case we will be pleased to reimburse you for any re-let periods. Unfortunately due to past experience with a small number of visitors we request a refundable deposit of £100 to visitors who wish to bring their dogs with them. This additional deposit would be used in the event of any additional cleaning, redecoration or repairs being required as a result of your pet. Please refer to our website directly for full terms and conditions.